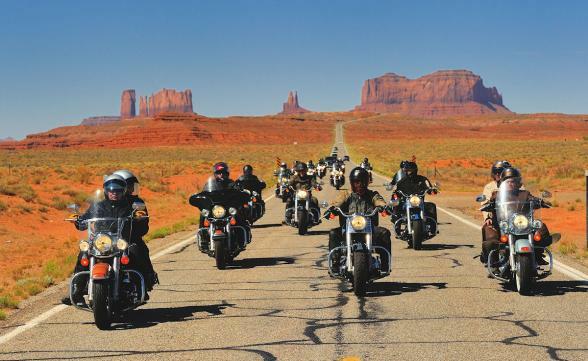 Retrace the exact route of the Easy Rider movie with fellow like-minded travellers from around the world on this once-in-a-lifetime holiday. 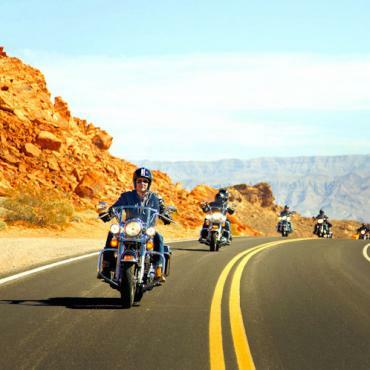 From the Highways of Southern California, to the unforgiving depths of Death Valley; from the Historic Roads of Route 66, and all the way to the life-changing jazz and blues of New Orleans, the Easy Rider Movie Tour will have you living the dream you have been waiting to experience since the first time you saw the movie. 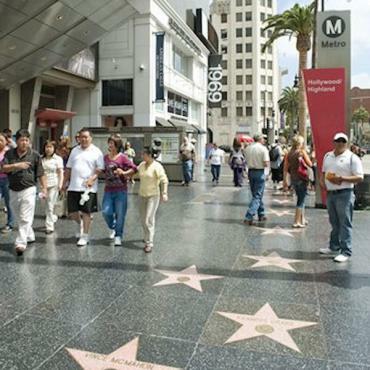 The experienced tour guides will not only show you roads you'll always remember ,they will also show you the behind the scenes movie props, share stories told by the movie Director before his death, and stand together on actual locations where the film was shot. Special offer available on the 22nd May departure - please call for details. BON VOYAGE INCLUDE THE TOP INSURANCE - Supplemental Liability Insurance & E-VIP- ZERO (Theft & Damage Waiver and Vacation Interruption Protection). 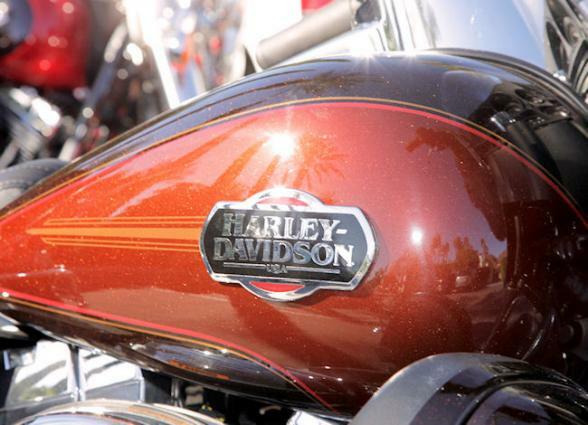 Need advice on what to pack for a Harley Holiday? Check out the Do's and Dont's. 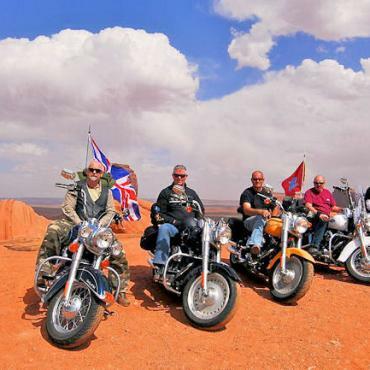 Fancy doing Route 66 on a Harley? Check out the blog of our client, Phil Colman. Welcome to Los Angeles! 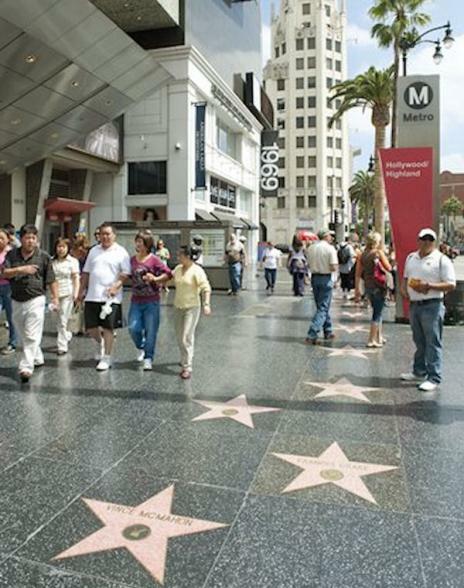 Take some time to enjoy the sights and sounds of L.A. before meeting up with your fellow riders at 5pm in the hotel lobby. You’ll crack open your first cold drink together before heading to a favourite local watering hole for a bite to eat. Tomorrow you ride. Today you will burn a lot of miles, but they will fly by with anticipation of what lies ahead. After picking up your bike in Los Angeles, you’ll ride just one mile down the road to the spot near LAX where the infamous drug deal that funded their journey was filmed. From here, you will point your bike north, toward the vast, unforgiving expanse of Death Valley. 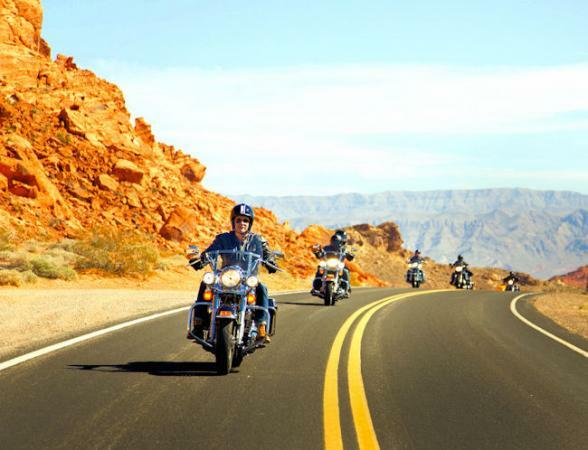 The high deserts and low valleys of California hold a lot of Easy Rider secrets, and you'll experience them all. 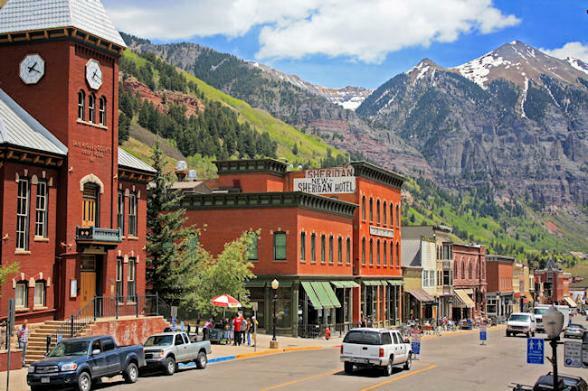 This is where Billy and Wyatt started their trip, and there are stories to tell and buildings still standing that look like they did in the movie nearly fifty years ago. Tonight you will enjoy a night under the stars as we share stories and beer around a campfire. 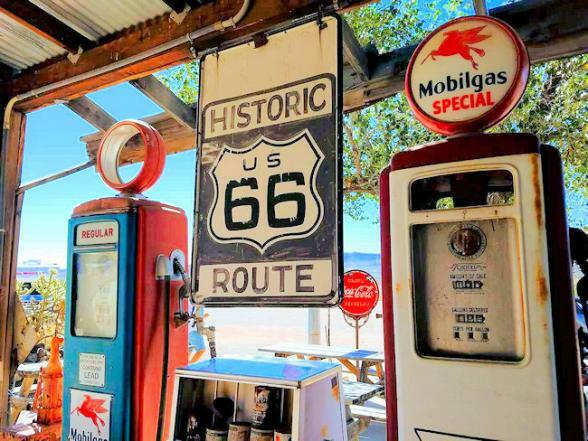 In the cool of the Death Valley morning you will start your ride towards the famous Route 66 town of Barstow, like Billy and Wyatt did in the movie. For those of you who want to give yourselves fully to the Easy Rider experience, you’ll stop along a lonely stretch of road in front of a very familiar building outside of Ballarat, California just long enough for you to have one last look at your watch before you leave it forever in a cloud of dust on the roadside as you rumble away towards the Mojave Desert. Between Death Valley and Needles lies the vast expanse of the Mojave Desert—one of the loneliest places on the planet, and still dotted by remnants of small Route 66 towns that struggle to cling to life long after the great Western Migration of the Dust Bowl and Great Depression subsided. We’ll end our day with a swim in the warm waters of the Colorado River. Needles was an overnight for the crew during the filming of the movie, and our Easy Rider historians will share some behind the scenes knowledge as we make our way on foot through town. This morning we leave Needles, crossing the Colorado River on Route 66. You’ll see the spot of the famous bridge crossing from Easy Rider. 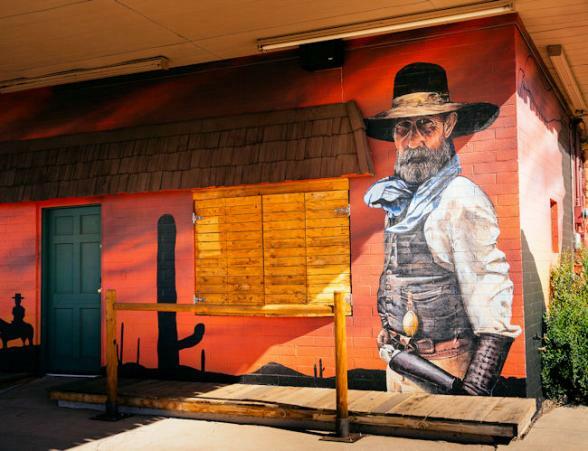 Later, we will ride through the “Old West” town of Oatman, Arizona, where the ghosts of gold miners past and their wild burrows still roam the streets. It's onto more Easy Rider movie locations as we climb into the pine trees of the Sacred Mountains, where Billy and Wyatt were denied a room for the night at the beginning of the movie. 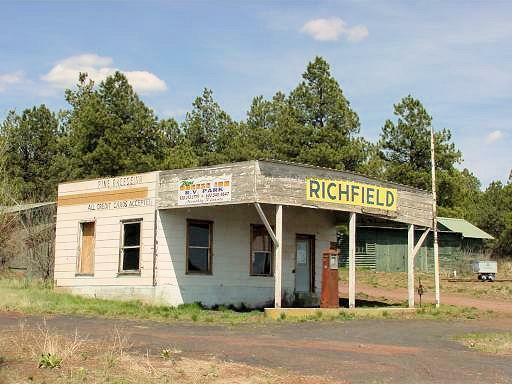 The Pine Breeze Inn, made famous from that opening scene in the movie still stands today, and we will stop there for some great stories and photos just before we arrive in Flagstaff. The neon “No Vacancy” sign that the owner of the Pine Breeze Inn switches on when he sees Billy and Wyatt is hanging in a small bar just down the street, which we will be sure to stop at for a cold one on the way. 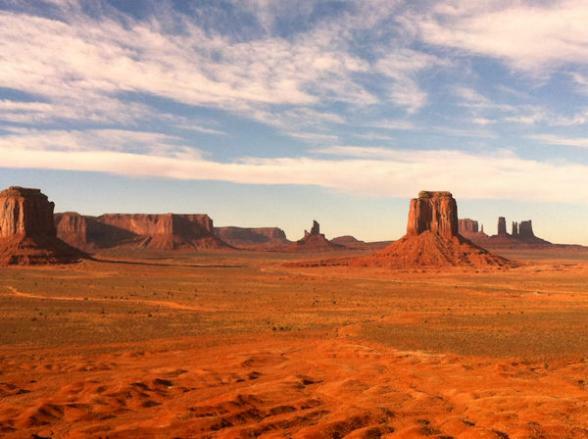 From Flagstaff we head north, through Navajo Indian lands, where wide open spaces lend themselves to beautiful stretches riding. We’ll wind through the Wupatki National Monument and visit the Indian ruins where Billy and Wyatt camped, as well as the Sacred Mountain location from the famous gas station scene. 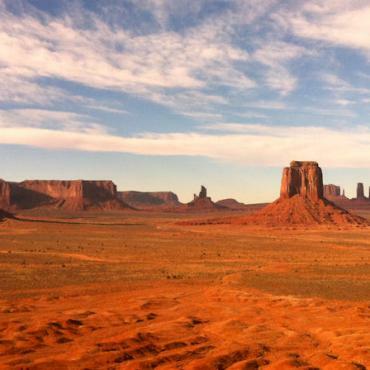 A few hours later you’ll ride between the thousand foot sandstone spires of Monument Valley where we will be treated to a private tour into the heart of Monument Valley with local Navajo guides. 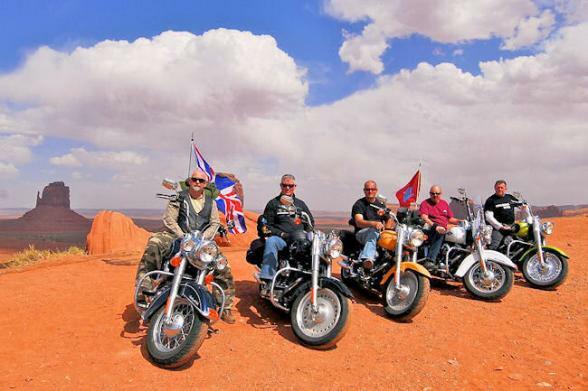 Your Easy Rider journey continues today as we follow Billy and Wyatt through one of the most famous landmarks in the Southwest—the Four Corners, where the states of Arizona, New Mexico, Colorado and Utah all meet. 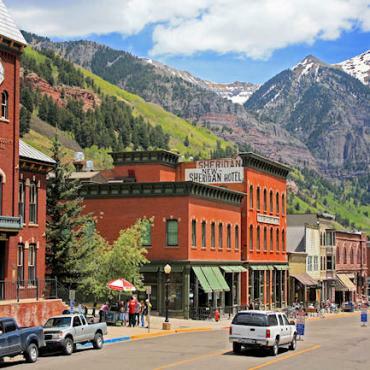 Later we follow the trail of Easy Rider into the Colorado cowboy town of Durango, known for its historic district and genuine “Old West” saloons. Today is about rest and relaxation. 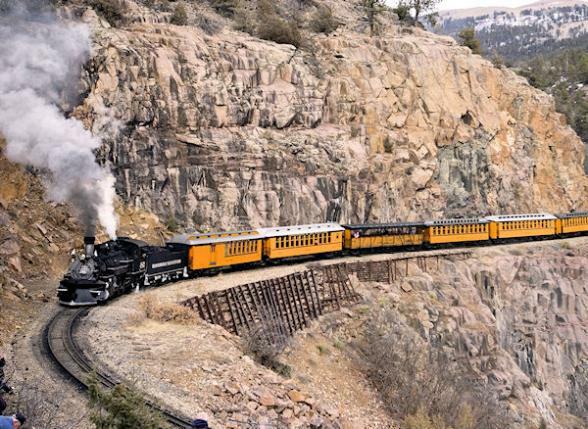 Take to the tracks on the historic Durango to Silverton Railway, or a cruise along one of Colorado's most scenic routes - The Million Dollar Highway. The ride from Durango to Taos is epic. 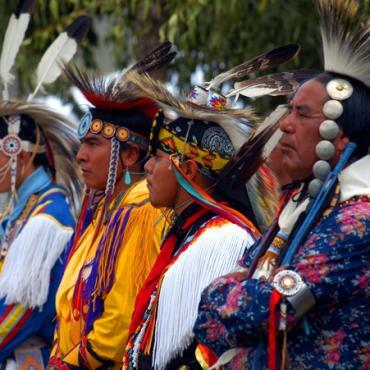 Taos is an ancient New Mexico mountain town that is rich in Native American history and culture, and also happens to have been the location for some of the most memorable scenes from Easy Rider. Parts of the hippie commune scenes, as well as all of the jail scenes were shot right in the heart of Taos. 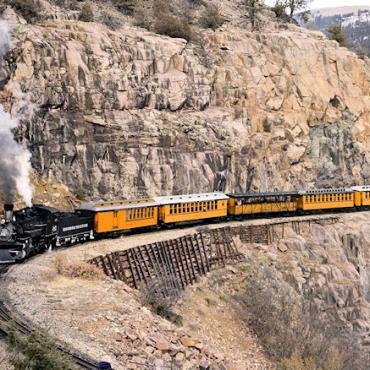 The only thing better than the ride from Farmington to Taos is the ride from Taos to Amarillo! 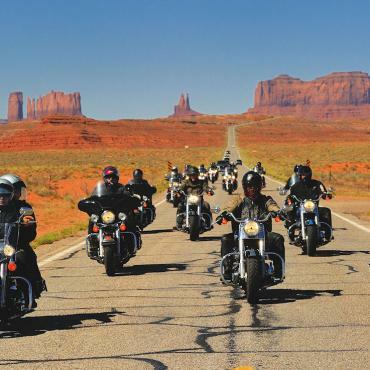 Your first stop will be the Easy Rider town of Las Vegas, New Mexico. The exterior of the jailhouse scene was shot here. 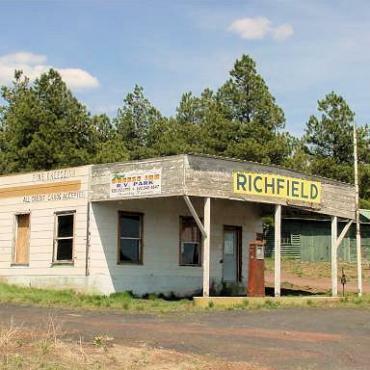 This is is one of our favourite photo stops and you can usually catch an “old timer” local who was around when the movie was shot to tell stories about all of the biker hippies that were in town back in the late sixties. 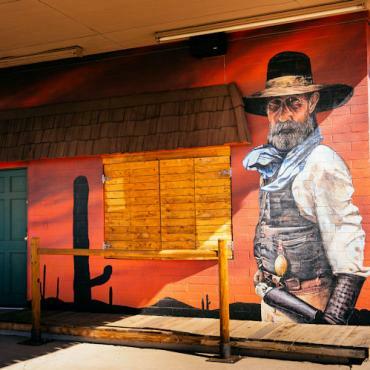 If you remember from the movie, this is the scene where Jack Nicholson’s character, “George,” takes his first snort of booze in the movie; “Nic Nic Nic...Fut Fut Fut…Indians!” Be sure to have a shot of Jim Beam and drink a toast to old DH Lawrence tonight when you get to Amarillo. Your last New Mexico highlight is just outside of the town of Coyote where the famous “If you wanna be a bird” sequence was shot. 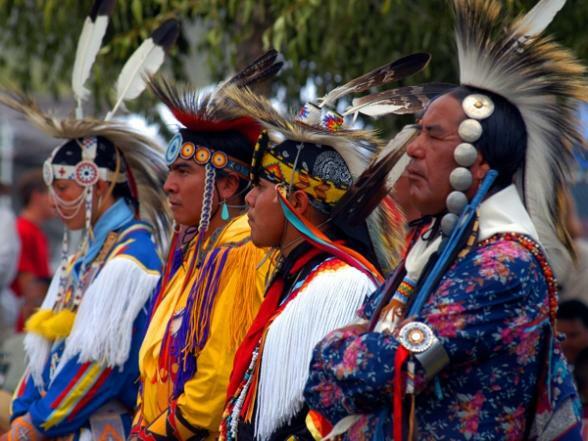 Tonight you will stay at a favourite hotel in Amarillo, Texas, The Ambassador. 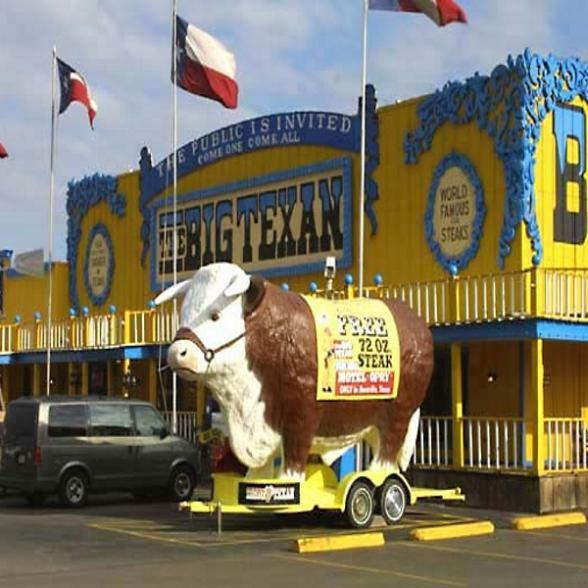 Our good friends from the Big Texan Steakhouse will pick us up at the hotel in a fleet of vintage Cadillac’s and cook some of the biggest steaks you will find in the Lone Star State! The only real gap in the actual Easy Rider route exists between New Mexico and Louisiana. The story is that the cast and crew dispersed and all took different routes through Texas and Oklahoma to get to locations in Louisiana where the final scenes were shot. By all accounts, this approach was taken to give the cast and crew a much needed break from the tyrannical directorial style of Dennis Hopper. 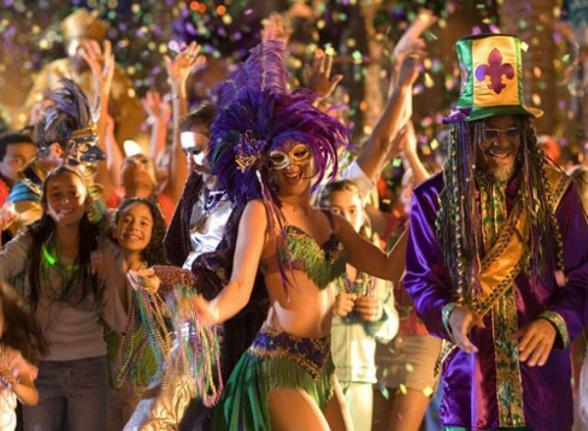 One crew had already quit in the middle of production as a result of his aggressive and brash style, so they thought it best to let the crew find their own way to New Orleans. 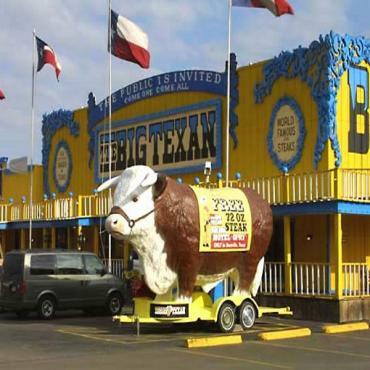 Our Easy Rider route takes us through the heart of the Texas Panhandle and into the historic small town of Abilene. 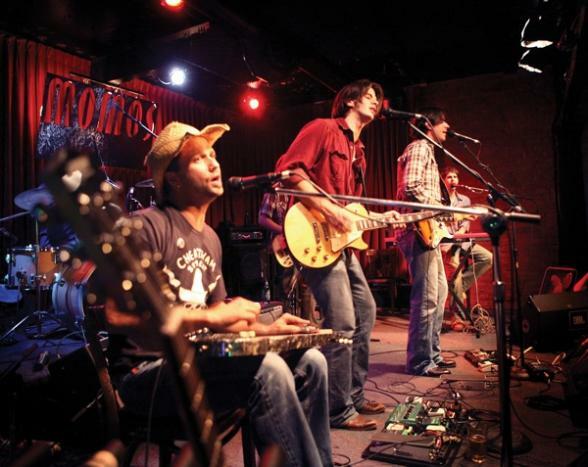 It's our favourite town next in Texas, Austin the live music capital of the world! 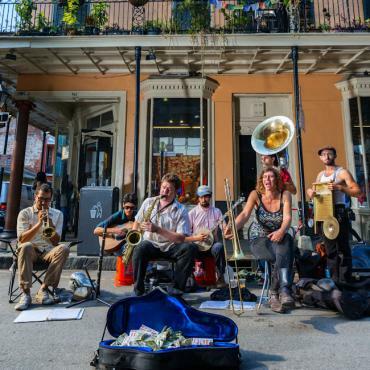 Your hotel is in the heart of the 6th Street music district, which enables you to walk from bar to bar all night long while enjoying some of the best live music in the country. Rumour has it that Peter Fonda spent a couple of days on 6th Street on his way to New Orleans and shut down two bars! 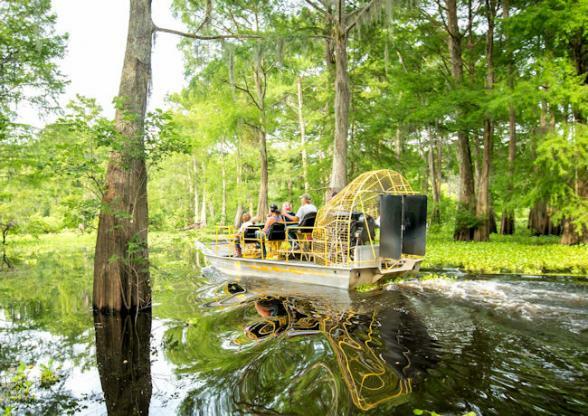 Some of the most famous and memorable scenes from Easy Rider were shot in the southern bayou state of Louisiana; today you will start your ride East out of Texas and into the heart of the south. 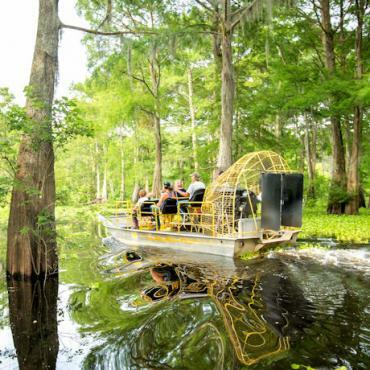 Louisiana, with all of her southern charm, swamps, bayous, and interesting locals, will feel like a foreign land compared to the places you have been thus far. Outside of New Orleans, Lake Charles is one of our favourite cities in Louisiana. 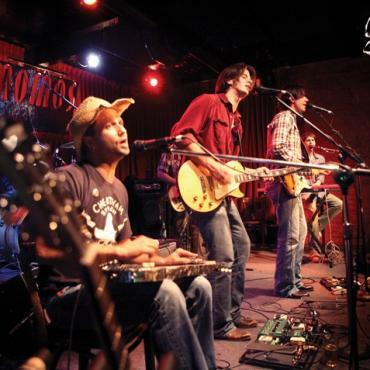 Tonight you will drink some local brew, and maybe even experience a little moonshine if the bayou spirits move you. One of the reasons that Easy Rider became such an instant hit and classic movie was that people were simply shocked and awed by the final scene when Billy and Wyatt are literally blown off the road by two locals with a shotgun. That scene was shot on an actual country road just outside of Krotz Springs, Louisiana. Today, you will ride that very same road and stop at the exact spot the scene was filmed to remember what a profound impact Easy Rider and that final scene had on shaping our lives as motorcycle riders. As you can imagine, New Orleans became a Mecca for bikers after Easy Rider debuted in 1969. The famous cathouse and cemetery scenes were the perfect marriage of the hippie drug culture and emerging biker culture of the late 60’s. Billy and Wyatt were living life on the edge and chasing true freedom, and New Orleans provided the perfect backdrop for some of the most iconic scenes from Easy Rider. 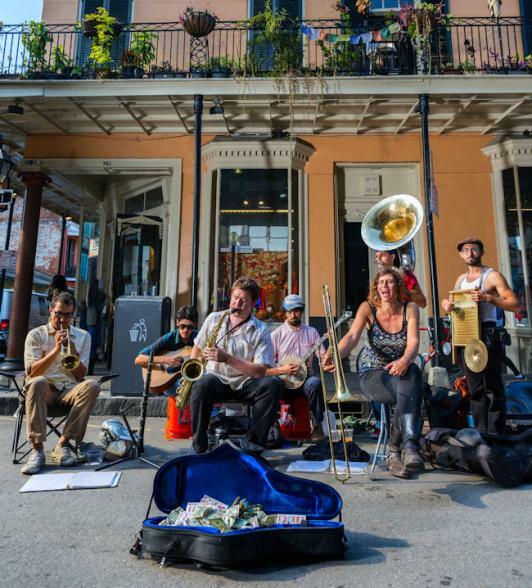 It doesn’t take long in the heart of the French Quarter to understand why New Orleans played such an important role in Easy Rider. 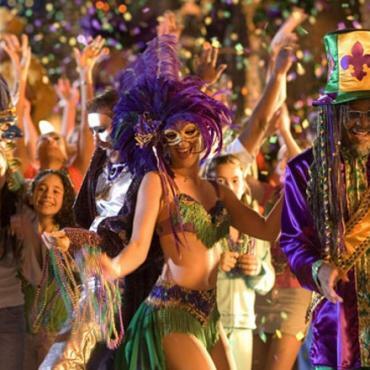 Tonight is crawfish, gumbo and an celebration of what you have just accomplished with your fellow Easy Riders. You’ll drink a toast to Billy, Wyatt, George, and, of course, the man who started it all, the late Dennis Hopper. What do you fancy next? 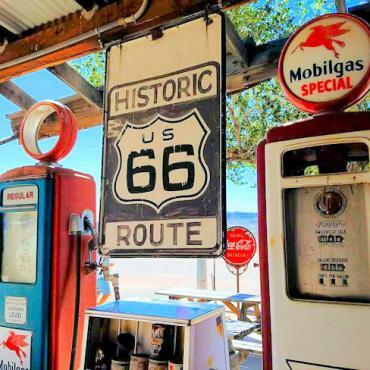 Route 66 perhaps? 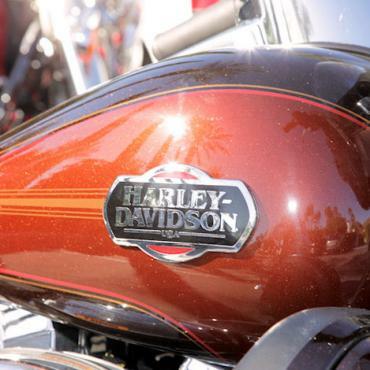 Call Bon Voyage to discuss your Harley Holiday in the USA.